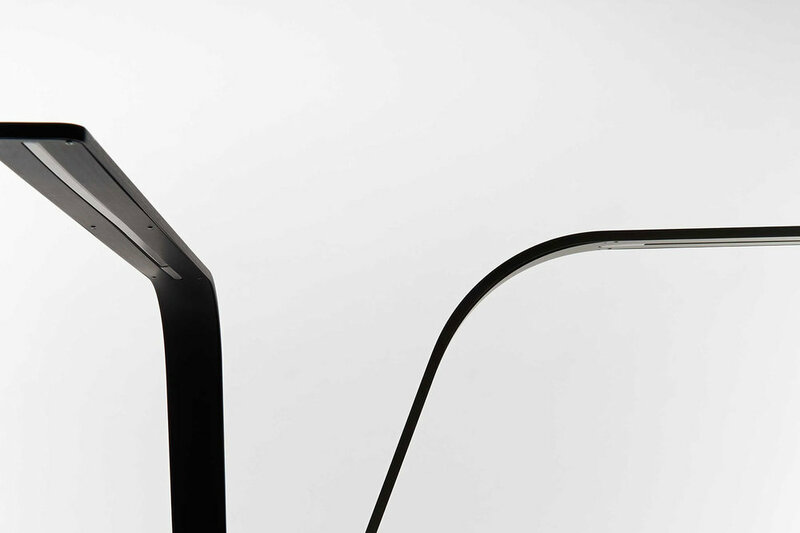 TLS Lamp is a thin and elegant task lamp that celebrates the beauty of well balanced minimal design. The main body is machined from 6mm aluminium then bent into its simplistic form. The intricate design process achieved a stable and well balanced extremely thin lamp that looks sleek in the bedroom or workstation. Available in high quality aluminium black or clear anodized finish with a dimmable LED light source and a touch sensitive backlit switch.